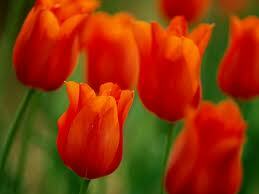 What do Bitcoins and Tulips Have in Common? If you want a little excitement in your investing life, consider the track record of this investment. It had a remarkable growth in price, and then a remarkable fluctuation (mostly down in recent weeks). Not of a hot internet start-up, a bond issued by Zimbabwe’s central bank, or a new mutual fund; but a kind of currency. The cumulative value of this investment rose from essentially zero to over $2.5 billion, and then lost more than half its value in a few trading days. Welcome to the strange world of bitcoins, the alternative currency that exists on the web, favored by a small number of techno-geeks, libertarians, drug dealers and the occasional legitimate business. Bitcoins are a digital currency that has been getting a lot of press coverage, especially recently, with that price spike and subsequent collapse. The news that people in Cyprus are converting their savings into bitcoins to avoid government confiscation, has fueled interest as well. The actual coins are, of course, not coins at all. They are essentially records in a digital archive stored on servers throughout the web, in the form of digital signatures, timestamps, and public keys- all created in open-source computer code in a way that is designed to foil hackers. Because a Bitcoin transaction can be processed easily in any currency, anywhere in the world, without banking or transaction fees, some economists think that they represent an early version of what currencies will look like in the future. Libertarians like bitcoins because they allow you to buy and sell (with those few business who will accept them in payment) totally anonymously, without the government being able to assess taxes or track your activities. (This is also the attraction for drug dealers). People who are suspicious of central bank policies like them because bitcoins are not tied to any traditional banking system; no government can print more of them and debase the currency. Hackers like them because once bitcoins are stolen, there is no way to recover your losses or trace the thieves. It’s like stealing the money right out of your wallet. The phantom money received a measure of credibility when Forex, a financial news online portal, recently began offering minute-to-minute Bitcoin news to traders and investors. However, some of the most astute commentators believe that it is inevitable that bitcoins will eventually wind up worthless. Why? First of all, there is nothing backing the bitcoins in your digital wallet. 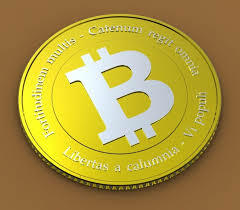 Unlike dollars, pesos, euros or yen, no government guarantees that bitcoins will have value in the marketplace. For bitcoins to become a stable reservoir of value, they would have to be accepted by the mainstream business community. That can’t happen. Under the protocol that established the digital currency, the global supply of bitcoins can never exceed 21 million. At a recent (probably inflated) conversion value of $141 per bitcoin, that comes to just under $3 billion, which sounds like a lot until you realize that the foreign exchange markets routinely experience trading volumes of $4 trillion a day, and the global value of all commercial transactions is many times that amount. Of course, you would solve this problem if the value of individual bitcoins could rise dramatically, to, say, $100,000 each (global value: $2.1 trillion), but this is where the economists point to a fatal flaw. Suppose your $141 bitcoin suddenly started trading at $200, and then $500, and the value was growing as the need for bitcoins expanded to encompass a broader share of global trade. That’s great for your paper wealth, but it represents massive deflation of the things you’ll be purchasing. That iPhone you purchased with one bitcoin would soon be worth half a bitcoin, then a quarter of a bitcoin, and eventually less than a thousandth of a bitcoin–and just like consumers during the Great Depression, you (and millions of other bitcoin holders) would have no incentive to actually do any transactions with your precious hoard. There’s a reason why currencies are not supposed to be terrific investments; you want them circulating into the economy, rather than hiding in the mattress or an encrypted digital wallet. Nevertheless, as business (and, yes, people doing business with drug dealers online) learn how to navigate this new digital currency, economists and others say we’re learning how to construct a better global transaction system. Bitcoins will be an interesting part of the future history of commerce. They may also become one of the great financial cautionary tales, right alongside the Dutch tulip bulb mania, as people with thousands of bitcoins valued at millions suddenly find their digital wallets empty of value. Are Affordable Care Act Promises Coming True?